If the lines are any indication, Yale's ready for some frozen yogurt. A new frozen yogurt place is bringing the joys of self-serve healthy snacking to New Haven. Froyoworld is open at 46 High St. in the Chapel Historic Retail District and, just in time for Yale students to return, there is a celebration welcoming Froyoworld on Aug. 30, at 11 a.m. and there will be free t-shirts, until their all gone. At Froyoworld, you’ll find six flavors of non-fat yogurt and dairy free sorbets offered daily, and 45 toppings -- dry candies, cookie crunches and fresh fruits. This is a probiotic frozen yogurt lounge that offers 100 percent all natural and non-fat products. 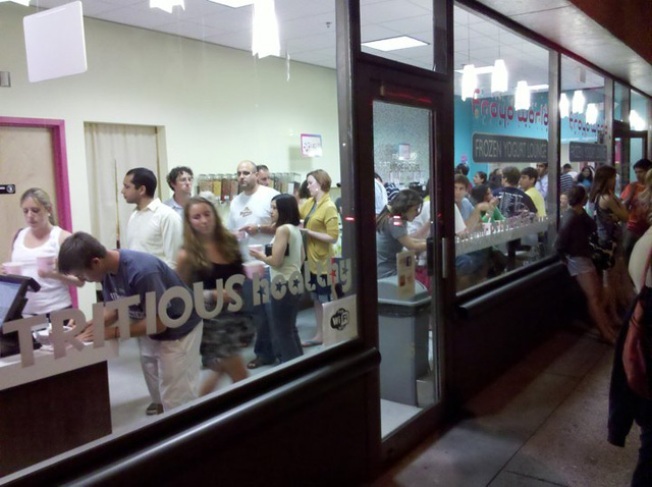 “After operating two successful frozen yogurt stores in San Francisco, we are excited to expand our business to the East Coast to cater to the highly educated, health conscious, cosmopolitan population in New Haven, which boasts 50,000 area college students, two medical centers, and a vibrant downtown retail district. We believe Froyoworld will be a strong addition to the thriving New Haven economy,” store owner William Bok said.